Its time to wear you out of box thinking cap. Here is one easy Lateral thinking puzzle for kids. This lateral thinking puzzle will look as difficult to solve. However if you will think out of box, then you will be easily able to solve this puzzle. 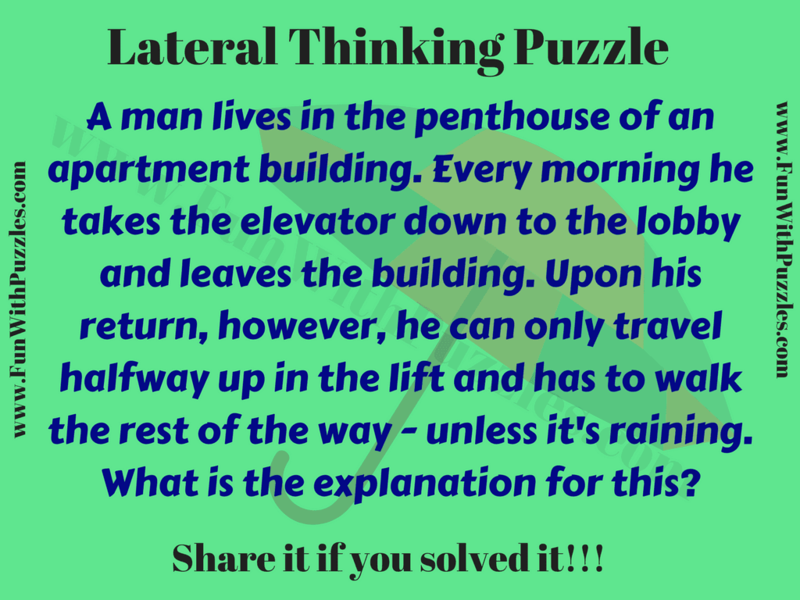 Lets see how much time you will take to solve this lateral thinking puzzle? 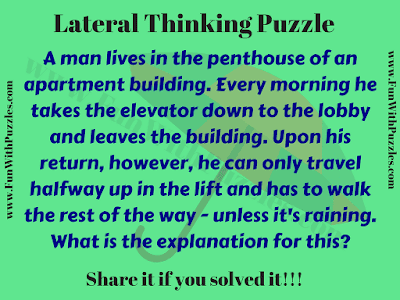 Answer to this "Lateral Thinking Puzzle for Kids", can be viewed by clicking on button. Please do give your best try before looking at the answer. One of the possible answer is that man's height is small and he cannot press the higher level floors. However when its raining then he carries umbrella and uses it to press the higher level floors.